Although I look forward to my kids’ birthdays every year, these special days used to feel a tad overwhelming. Expectations ran so high – from my kids, their grandparents, our friends, and our neighbors. And every year, the weight of it seemed to fall on this mama’s shoulders. What started as a simple plan to gather a few friends turned into a monster impossible to tame. Add in pressure and comparison from what other moms were doing and I crumbled. Not only did our elaborate festivities add stress and mommy guilt, they also busted our budget. Driven by emotions, our overspending left an aftermath of guilt long after the sugar-highs came to an end. And based on what I see today, I have suspicions other families feel the same way. In fact, according to an informal survey on Babycenter.com, many spend over $500 on their child’s first birthday party. How do you stay on budget when you have a birthday party? So, after surviving too many stress-filled parties, my husband and I decided to make a change. We decided to take back birthdays. Since that decision nearly a decade ago, we’ve seen birthday parties can be meaningful – without the hefty price tag. 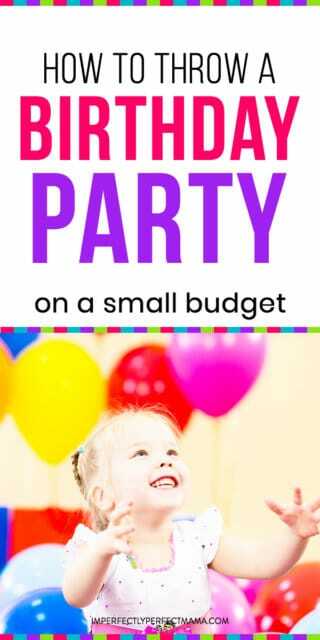 Here are some simple ways to stay on budget when you throw a birthday party. A quick and easy way to save money on birthdays is on invitations. With dozens of customizable designs, electronic invitations are free to send, are delivered immediately, and make it easy to view RSVPs. Themed-party decorations can quickly bust the budget. Walk into any party store and there’s a party theme for every day of the year. Instead of spending money on new decorations for each party, purchase several quality decorations when your kids are young. And with each new birthday party, you can refuse your decorations. Our birthday plate says “You are Special Today.” Because it doesn’t specifically mention birthdays, we use it anytime we want to celebrate our kids. 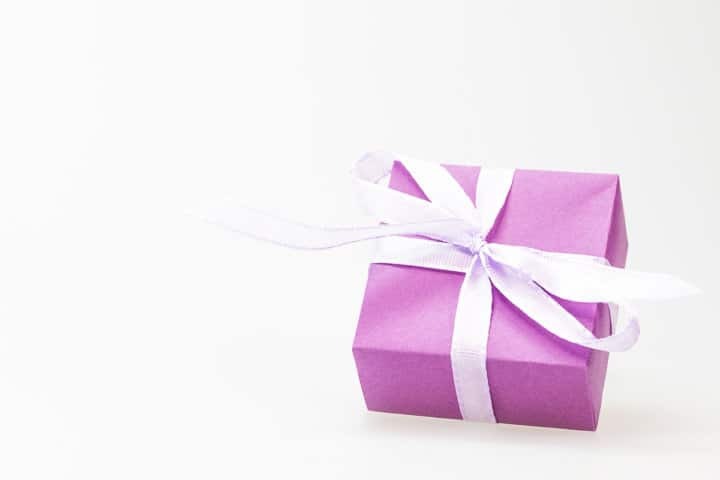 It’s a simple decoration and makes the birthday girl or boy feel honored on their day. If you have heirloom china stored away from a treasured grandmother or great-grandmother, using a plate from her set would give even more meaning to birthday mealtimes. I purchased a colorful fabric pennant garland almost a decade ago. 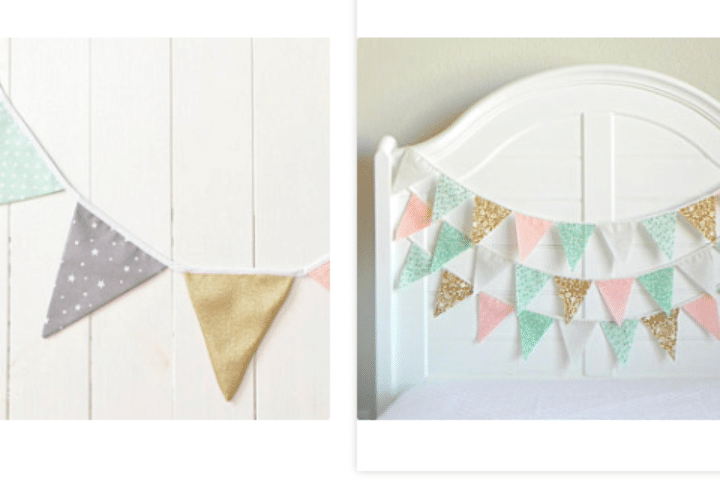 With places like Etsy, homemade quality items for birthday celebrations are easy to find. Choosing gender-neutral and non-personalized decorations make it a cinch to share amongst family members for years to come. When I bought our birthday banner, I had an option to personalize it. I was tempted but resisted! I’m so glad I did. We’ve used this so many times over the years – even spontaneously for guests in our home celebrating a birthday. The night before a birthday, I pull these out to greet my son or daughter the following morning. It takes me all of two minutes to decorate. Our kids anticipate these simple decorations and they’ve become a part of our birthday traditions. Another way to stay on budget is to limit party guests. The pull is great to add and add and add to the guest list. But more guests = higher cost. Keep the party small and focus on those who truly invest in your child. Resist the temptation to invite people simply out of obligation. A simple reply to well-meaning friends who inquire about plans is, “We’re doing a small family celebration.” I’ve used this response many times and it’s always been warmly received. You can also limit the party size by combining the party with an already planned event. One of my sons has a birthday the day before the 4thof July. Several times, especially when he was young, we combined his birthday party with an already-planned Independence Day celebration. I offered to bring a birthday cake and our family was ecstatic to celebrate with us. He loved it because of the fireworks, and we loved it because it was easy! I don’t know about you, but random toys with a thousand pieces aren’t something I’m jumping up and down to bring into my home. Without a bit of thoughtfulness, however, that seems to be exactly what happens around birthdays. It’s been a blessing to share with family and friends gift ideas other than toys. Grandparents especially love giving towards a summer camp, art lessons, or sporting equipment. When my first child was born, my dad gave us some money designated for a college fund. Every year since he and my stepmom give a small birthday gift while also making annual contributions to their college funds. With the expenses of raising children, I am thankful for loved ones who invest in our kids’ futures by contributing to their college funds. This tradition is near and dear to this mama’s heart. After a special meal chosen by the birthday child (we’ve had some crazy meals! ), each family member shares words praising the birthday child. It can be anything – from a positive personality trait they see to a favorite memory from the past year. Pausing to speak words of encouragement has blessed our kids on their birthdays in ways no toy ever has. This brief, but meaningful, tradition strengthens our family bond and models praising others. Recently, my nephew, who is four, shared a few sentences of encouragement towards his teenage brother who was turning 18. “Thank you for playing with me and for getting me band-aids when I fall down,” he said. He had all the adults – and the teenage brother reaching for the tissues. 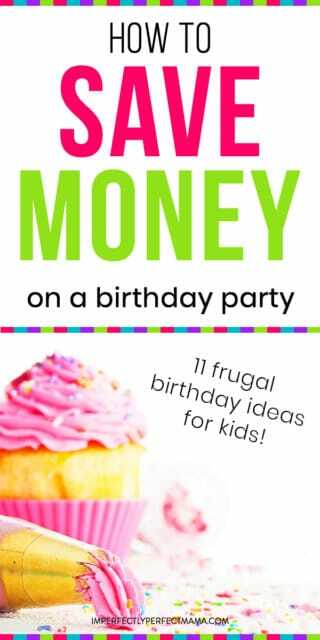 Use these tips to save money and add meaning to your family’s next birthday party. 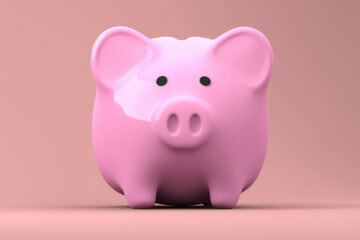 Not only will you save, you’ll genuinely anticipate these days. So, what about you, mama? 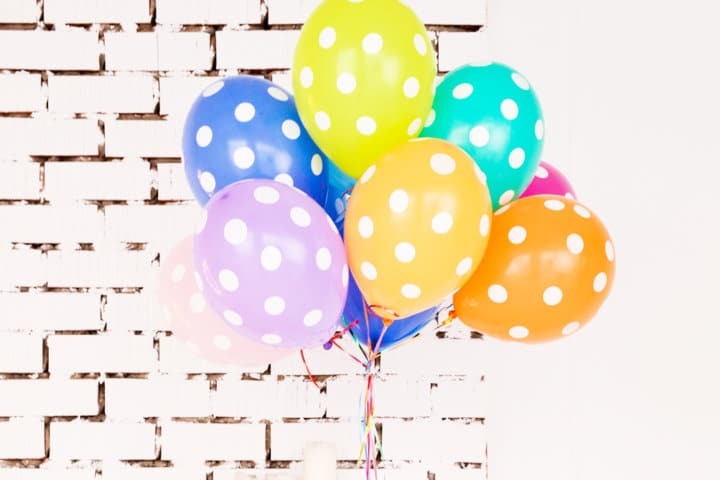 Are you ready to simplify birthday parties? Share tips below on how you celebrate in your home without breaking the bank. 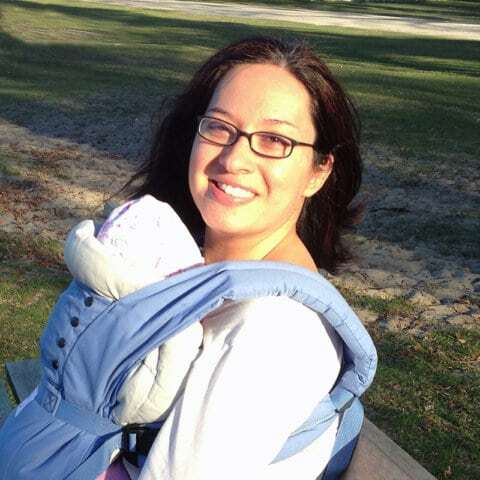 Cayce Finley is a small business writer for hire in upstate South Carolina. She’s also a homeschooling momma to six kids ages 7-14. When she’s not writing, you can find her in the kitchen doubling every recipe for her always-hungry family.